A sensation of itchiness in the ears can be caused by several conditions, some are easily remedied while others may require the care of a doctor. Here are some of the most common causes of ear itching. Swimmer's ear is usually treated with antibiotic ear drops. The best way to prevent Swimmer's ear is by keeping the ears dry. You can do this by using earplugs when you bathe or swim, or gently drying the ears with a hair dryer after bathing or swimming. Skin problems can affect your ear canal and cause symptoms such as dryness, eczema, psoriasis, or seborrheic dermatitis. The dry skin inside of the ears can be treated by putting a drop or two of baby oil or olive oil in the ear each day (do not do this if you have had ear surgery that has affected the integrity of your eardrum). Allergic skin conditions such as eczema and psoriasis are usually treated with steroids. People who wear hearing aids may experience itching in the ears if they are allergic to the plastic their hearing aids are made of. In this case, the hearing aid should be replaced with a different type of mold. It is also possible to have an allergic reaction to polish on the surface of the hearing aid mold. In this case, you can try removing the polish by cleaning your hearing aid by wiping it with alcohol before putting it in your ear. Depending on the shape of an individual's ear and the type of hearing aid, itching can also occur when the hearing aid puts pressure on the delicate tissue of the ear. 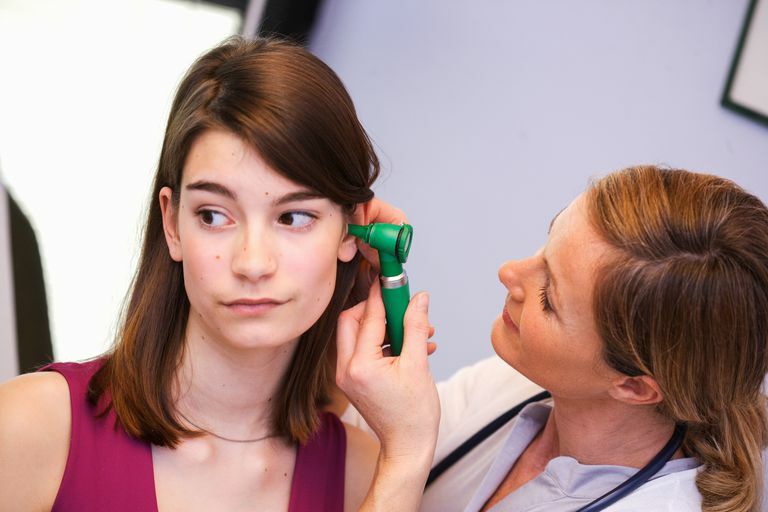 Your doctor may be able to diagnose this problem using an otoscope. If you are not sure that your eardrum is intact or if one of the above home remedies is ineffective, your doctor can remove ear wax from your ear. This is usually done in the doctor's office by irrigation with a syringe or the wax is manually removed using special instruments. It should also be noted that some people may experience an itchy feeling deep in the ear when they swallow. The auditory tube (also called the Eustachian tube) opens every time you swallow. The itching usually only occurs when you have another condition that causes a sore throat, such as a cold virus. This is not particularly worrisome and usually resolves when the condition causing the sore throat goes away.